Photo Gallery: Take a Closer Look at the 2019 Honda Ridgeline! Honda just announced details regarding the new 2019 Honda Ridgeline, and we’re excited to share them with drivers near Denver, CO! The new Ridgeline is tougher than ever thanks to a 3.5-liter direct-injected i-VTEC™ V6 engine. When properly equipped, the Ridgeline offers a class-leading 1,584-pound maximum payload capacity and up to 5,000 pounds of maximum towing capacity. But with all of that power and capability, the Ridgeline still offers drivers a refined and sporty exterior with a spacious and comfortable interior. Keep scrolling to check out new photos of the upcoming 2019 Honda Ridgeline! Bookmark this blog to be the first to know when the new 2019 Honda Ridgeline is available at Planet Honda of Golden, CO. Schedule a test drive and be the first driver near Denver to drive a new 2019 Ridgeline! 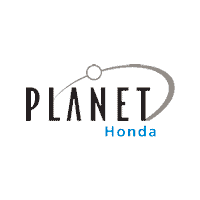 For more information about this or any Honda model, contact us or stop in to Planet Honda and talk to a member of our knowledgeable team! 0 comment(s) so far on Photo Gallery: Take a Closer Look at the 2019 Honda Ridgeline!